Hellloooo . How are you doing? I'm so tired with homeworks, job and event to be honest. It's only Tuesday but I'm already looking forward to the weekend and i miss holiday! I want a traveling with my family again. In other country, this time is autumn season but in my country THIS IS SUMMER !!!! and every day always feel hot and burning like a hell. I'm feel desperate with hot climate, pollution and dirt every single day because it's make my skin to be dull and dry. 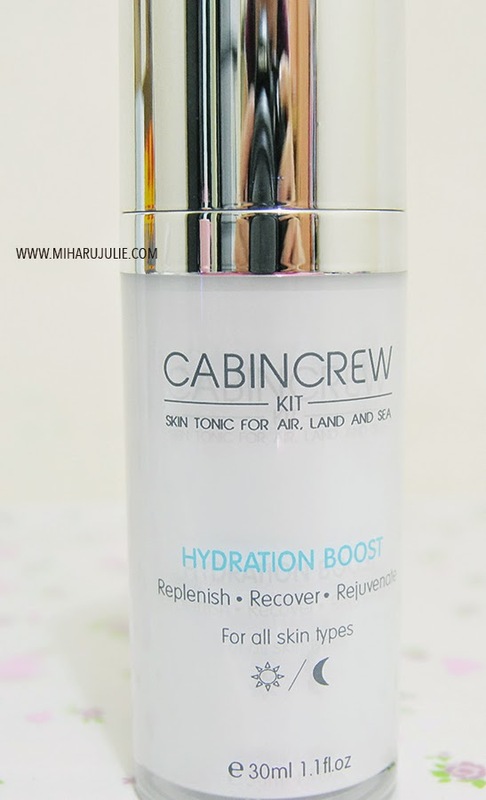 Recently i'm trying a new skincare called CabinCrew Kit: Nano Hydration Boost and today i'll share my review to everyone in here. Cabin Crew Kit is a formula of US & Japan Technology, intentionally designed for frequent flyers whose skin are often exposed to harsh climate, resulting in lack of skin hydration. 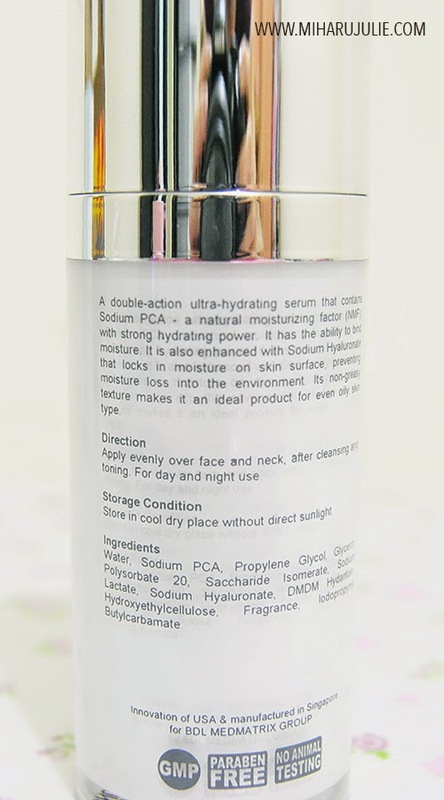 So, their products are formulated to provide ample moisture while addressing other skin concerns. The differences in altitude and environment or seasonal change of weather would often result to an exposure of a harsh impact unto your skin. An enriched hydrating agent in your skincare regime is essential to maintain a supple and healthy skin. Cabincrewkit series is suitable for both men and women. People from the east and west. They provide your skin an optimal dosage of active ingredients for best results in a shorter time. Their natural blends of ingredients with a ground breaking formula is designed for both dark and fair skin. Their products contains 0% paraben. Their products are encapsulated by multilayered liposomes for penetration into deeper layer allowing your skin showing noticeable improvement in just days. There are many triggers to skin sensitization and one of the biggest consequences of dry skin is an increase in sensitivity. When skin is dry, it’s depleted of its natural protective lipid barrier and lowers skin’s defenses against environmental assaults that can cause a sensitized reaction in skin, such as itching and redness . Use the double-action Nano Hydration Boost to replenish, recover and rejuvenate your dry or dehydrated skin condition. 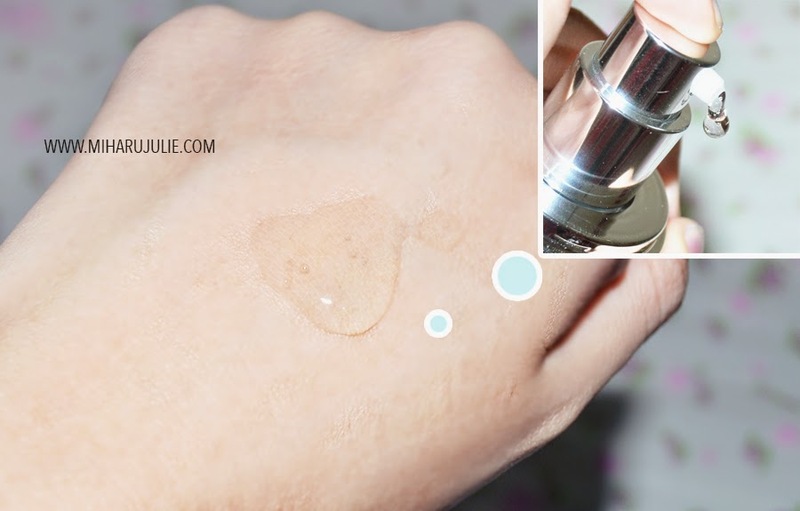 Nano Hydration Boost is a double-action ultra-hydrating serum has the ability to bind moisture to cells effectively. It locks in moisture on skin surface , preventing moisture loss into the environment while penetrates moisture into the skin. Its unique lightweight texture leaves no greasy residue on skin and will not clog pores. The packaging is simple and very nice. Their comes with a very strong bottles and the pump is also a plus because it's easier to measure how much we take out the products. Apply 1-2 pump evenly over cleansed face and neck. Day and night use. 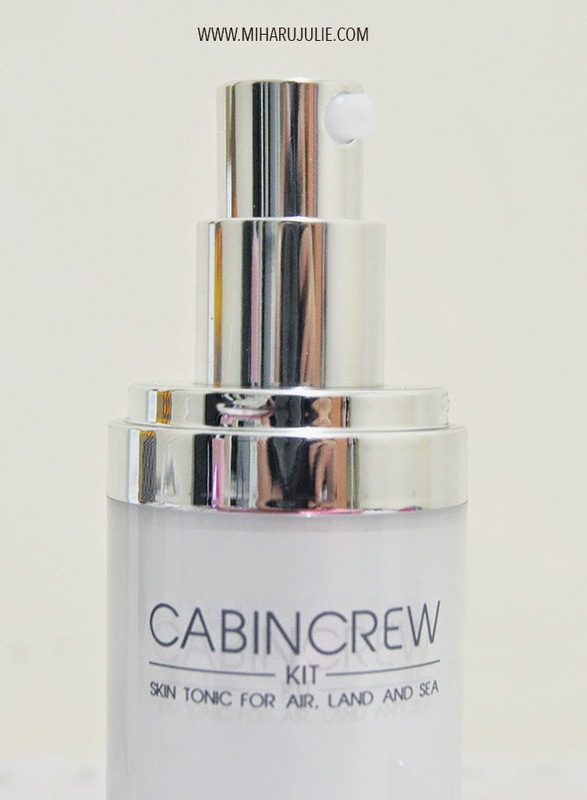 Cabin Crew Kit Skin Renewal Serum comes in a transparent, gel-ish texture where it blends easily into the skin and absorbed quickly . I don't have a problem with the smell. 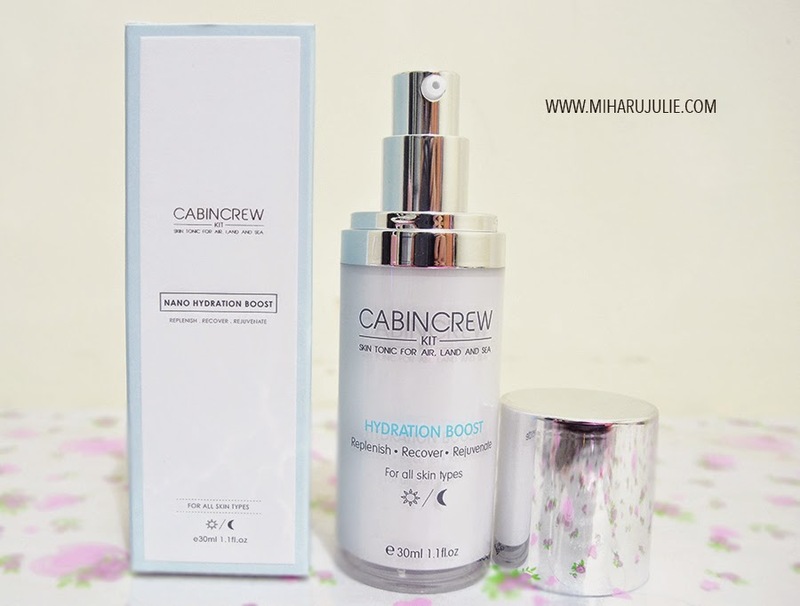 After using Nano Hydration Boost from Cabin Crew Kit for a 2 week now, I really love with the result because that my skin feels hydrated with frequent usage and my skin feel the better than before especially don't dry anymore although hot climate, pollution and dirt every single day. Of course!!! There's nothing I dislike about this product. 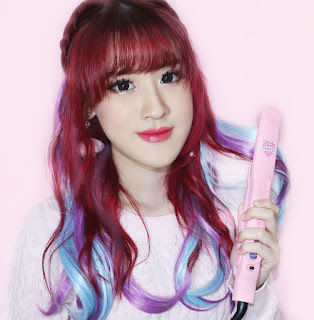 You can visit CABINCREWKIT website to check a more products. Great review! This looks like such a nice product *u* I am currently in search of a new moisturizer and I'll definitely think about buying this c: Thank you for sharing!! You are so cute !!! I love it !!! Fantastic hun, you look like an angel! I love the Korean and Japanese cosmetics ♥, it is the better thing. I'm so with you want the weekend to get here. Your product presentation is outstanding and sound amazing. It looks a great products, thanks for you opinion! I'm not a frequent flyer but I've added this to my list of skincare to try for my next overseas flights! ^ - ^ Great review, nice detail. Great review - sounds like a great post. Sounds like a very good product. Have to check it out. Thx for sharing Miharu. Wow!! Great review doll!! I didn't know this product! It's ok for me to follow each other; I add you on my G+ circles! All those products seem to be nice ideas! They're nice!